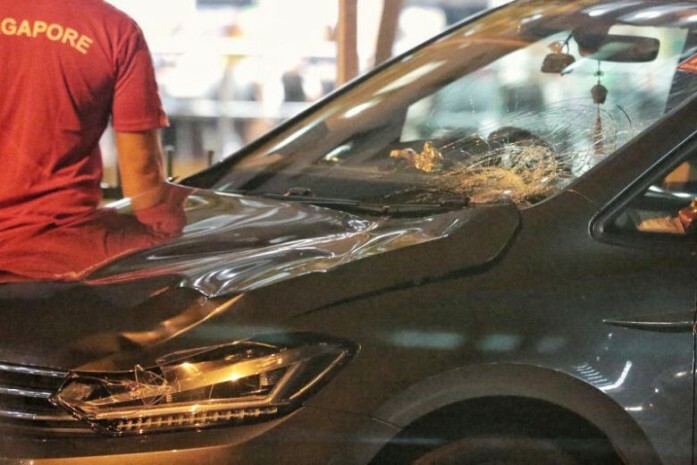 A 69-year-old woman has died from her injuries after an accident with a car along Hougang Avenue 8 on Monday (April 1). The driver of the car, a 33-year-old man, has been arrested. The police were alerted to the accident along Hougang Avenue 8 towards Hougang Avenue 7 at 9.58pm on Monday. The elderly woman was unconscious when taken to Tan Tock Seng Hospital and died the next day. A passer-by told Chinese-language newspaper Shin Min Daily News that the woman had been jaywalking when she was hit by the car near the road divider. She was sent flying upon contact with the car and was bleeding from her forehead, the passer-by said, adding that the woman was breathing but did not respond when several members of the public tried to talk to her.